Astronomical horizon: the horizon at the eye level. True horizon: the line that visually divides the Earth and the sky. Because the Earth is a sphere, the true horizon always lies below the astronomical horizon, or the eye-level. The angle between them is the dip of the horizon. The higher the observer, the larger the dip of the horizon. 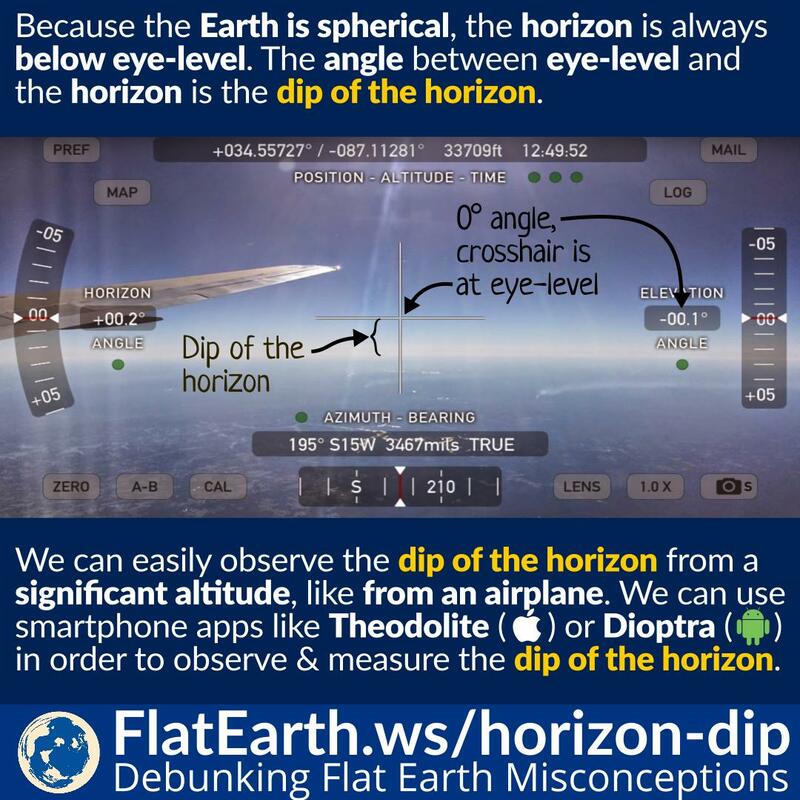 Flat-Earthers claim there’s no dip of the horizon. They are wrong. 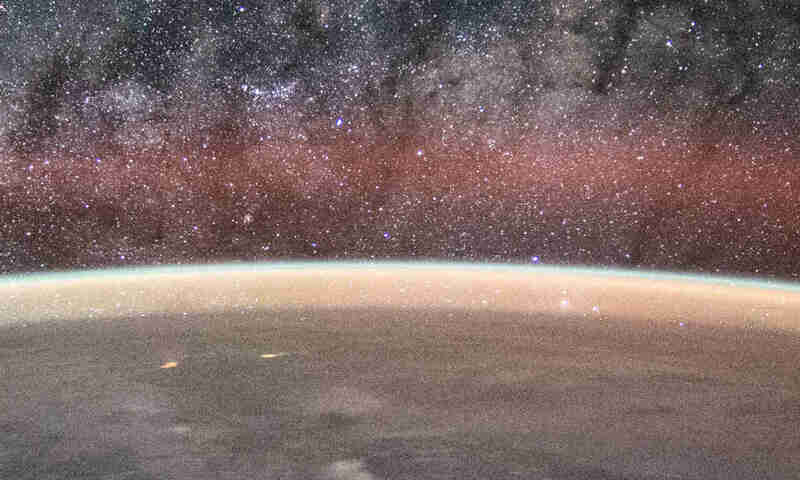 It is not hard to observe the drop of the horizon and prove the curvature of the Earth.